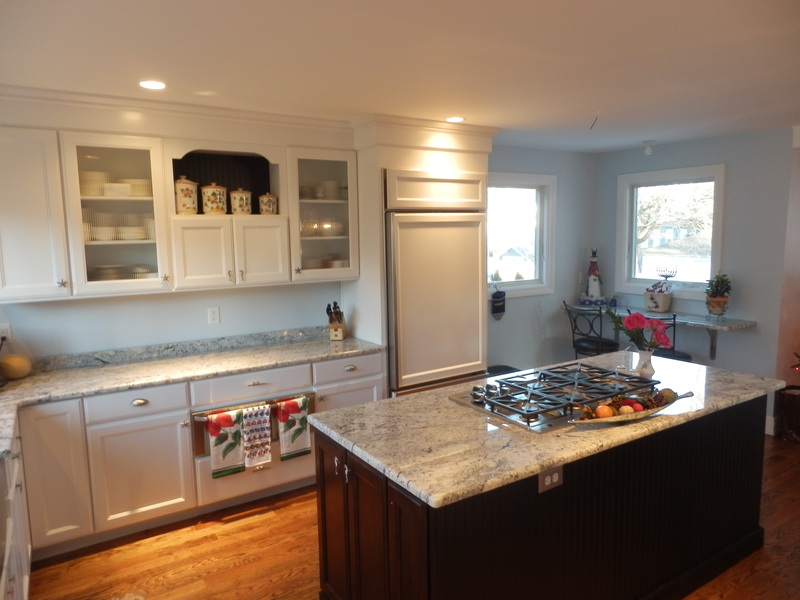 The kitchen in this shoreline home has an airy, spacious look and feel to it. 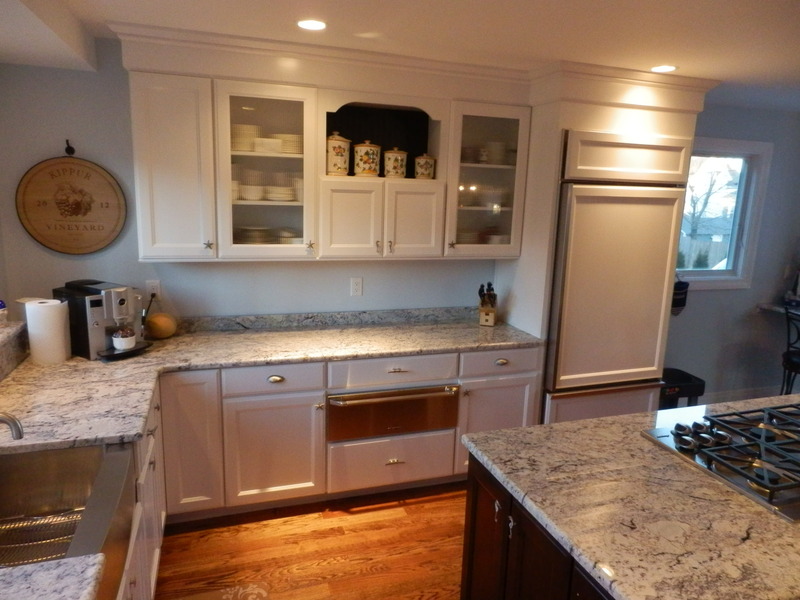 The exterior white cabinets and the light colored countertop help achieve this. 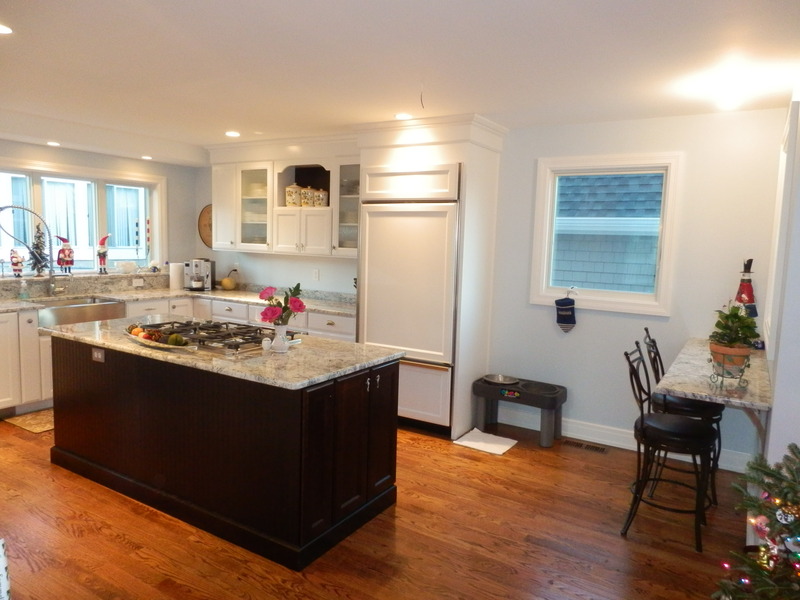 This room is grounded by the large dark island which stands as a focal point in the room. 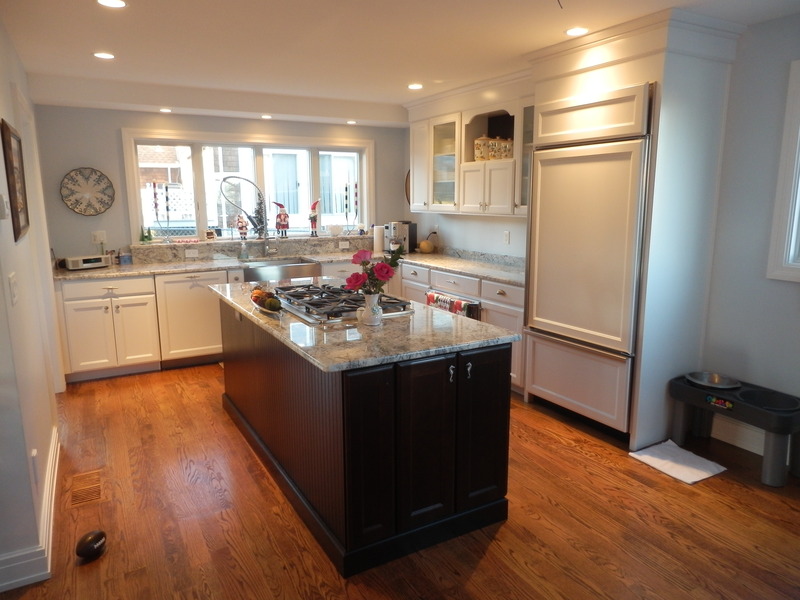 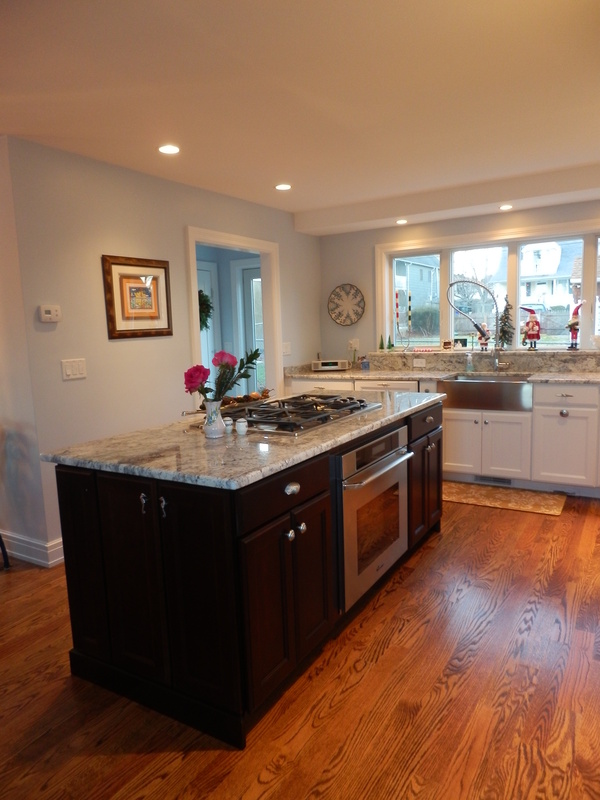 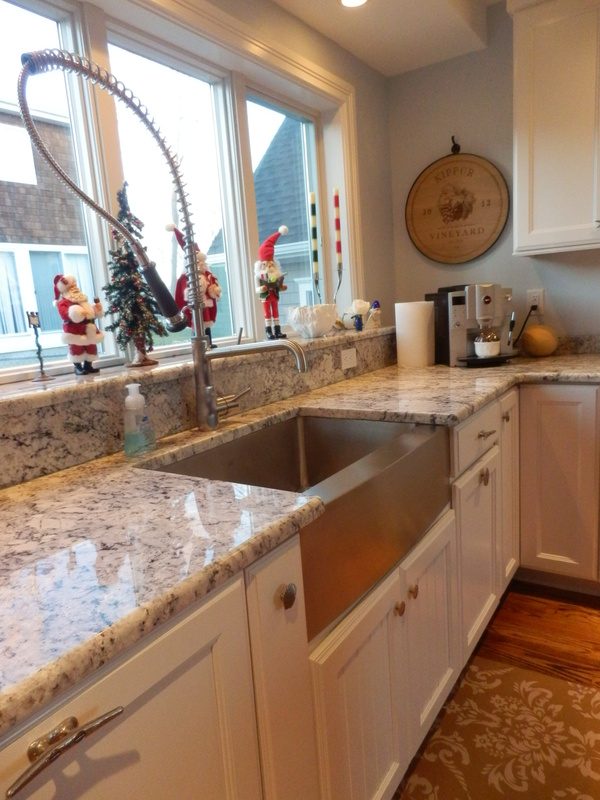 The cooktop was placed in the island to help un-clutter the perimeter countertops.